Korea Only Gold IP SEVEN CB! ntroducing the KOREA ONLY / SEVEN CB in Gold IP Finish! 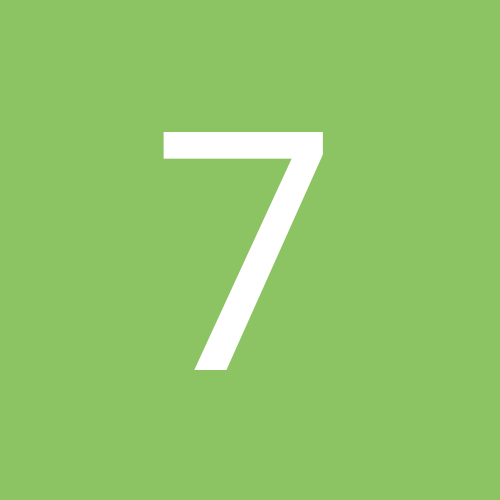 For those of you who don’t have an idea what the brand SEVEN is you can get up to speed here – ( Seven Blog Posts Click Here ) . 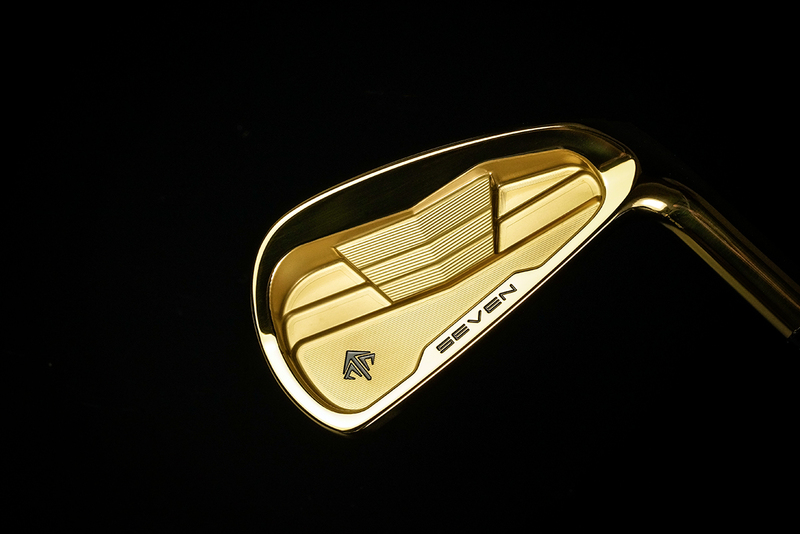 So I can already hear gold lovers grumbling about the fact that this club will be exclusive to Korea. Why!? The answer is simple and it’s that Korea likes flashy finishes. 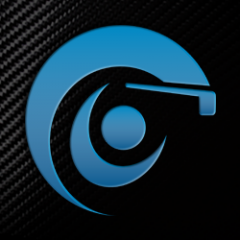 Another thing worth noting is that SEVEN is focusing on bringing exclusive designs to the worlds three largest golf markets. USA, Japan, and Korea. Next week I will highlight what is in store for the United States! 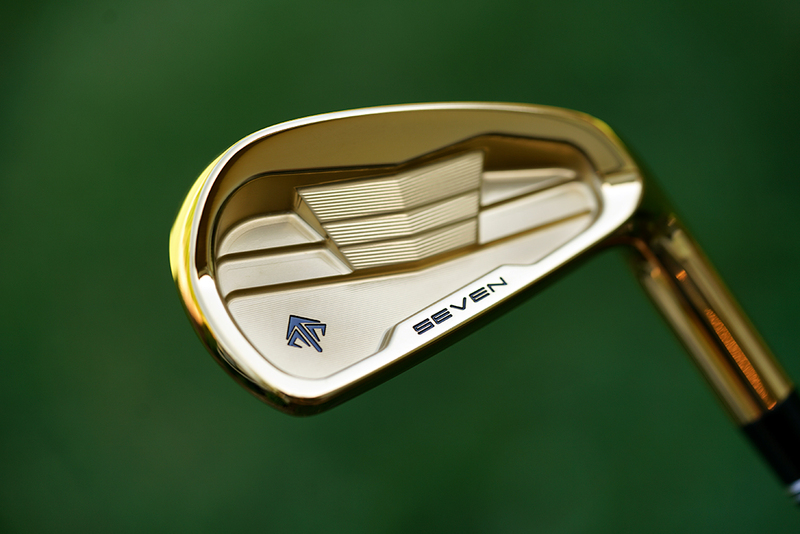 You are probably wondering how durable is this finish on these irons. First thing to understand is that the standard soft and very durable chrome mirror plating is applied first then a process done after which bonds the GOLD IP finish to the original plating. 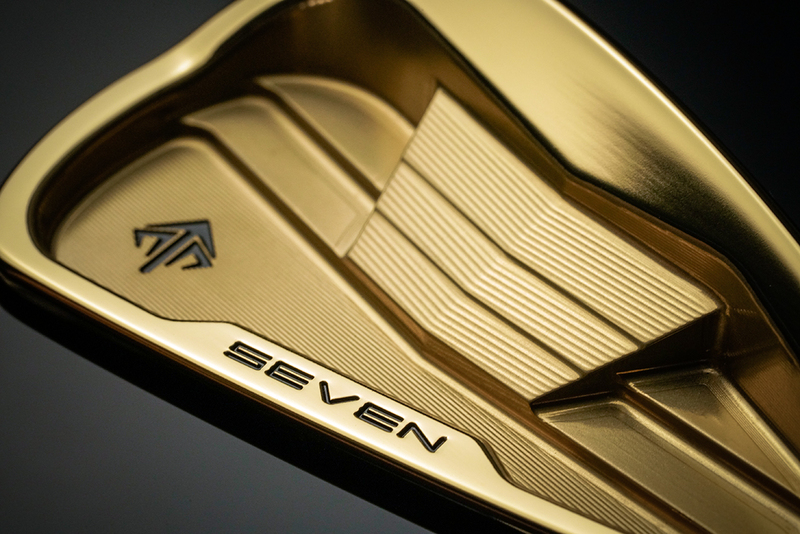 This means the irons will not rust, the GOLD IP is very durable but eventually wears in the impact zone. 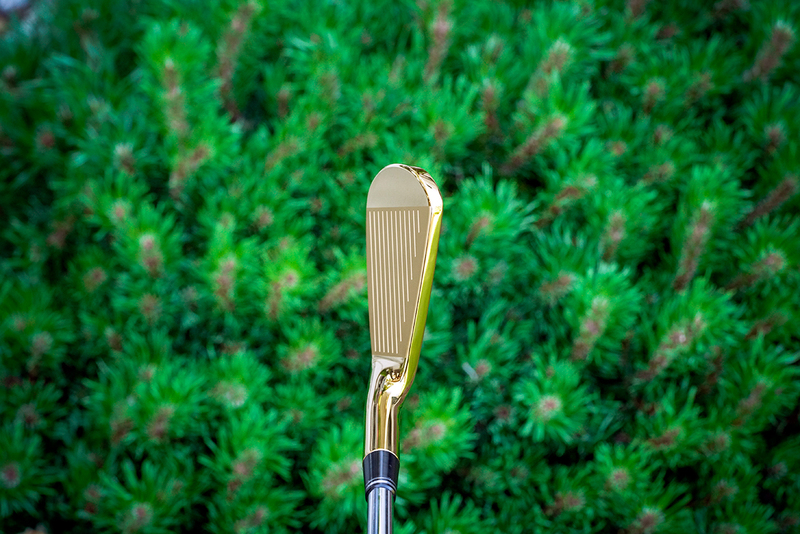 If your ball striking skills are half decent the wear pattern looks beautiful after many months of play. The above is what we feel is the perfect view from address. The offset/face progression numbers are exactly what golfers want: 4.5/5.0/5.5 very few clubs have this little offset and this would be equal or even less offset than even the smallest blades. The top line is thin but in perfect proportion to the body and shape, we have also implemented a clear top blade style which is why you dont see bead blast on the top line. The grooves are milled not pressed, the entire face has the tightest milling while the neck transition also has a light mill to show off how well this head is made. The toe extends past the top line not boxed or tear drop but in between for the perfect profile from all angles. Think ur onto somehting with this finish for K.
Never ever thought of getting Gold IP iron until I saw these. These look really classy without being too flashy or too blingy. Tastefully designed!! Matt black graphite shafts or raw graphite pattern shafts would look superb with these heads!! Looks good! How does the finish holdup? Esp. on the face? 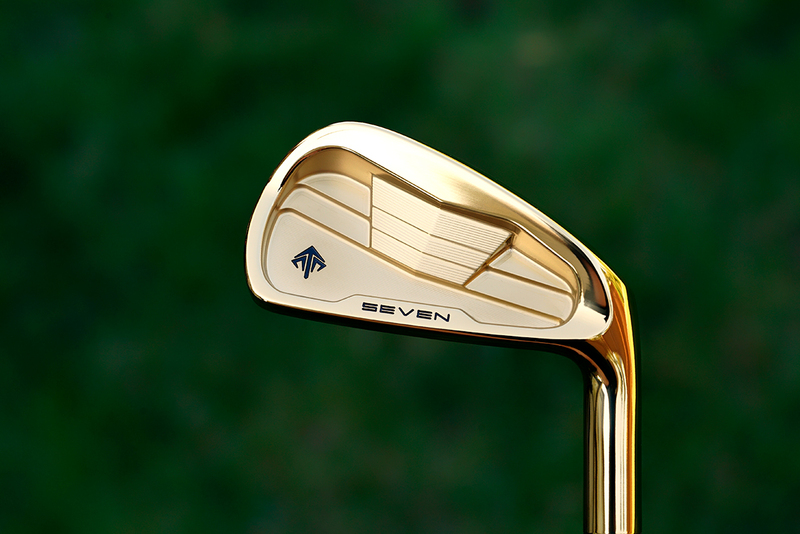 Any of the TSG Club Works finishes would be a downgrade on the SEVEN Iron. We are taking the best finish in golf and bonding it with IP. We can also do double or triple IP which is not tested yet. We can do IP satin, matte, or mirror. The durability is outstanding. The head will not rust. 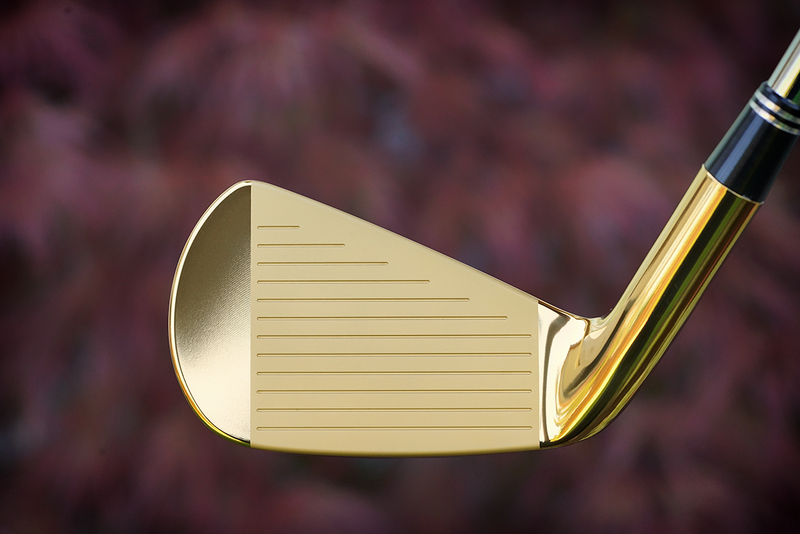 The gold IP will fade in the impact areas to expose the original finish over time. These are not available in HK. It is Korea only. so you are saying these are only available to Korea based customers? any reasons? Each country will get their own exclusive models. I wonder what the Swedish ltd will be. Made of raw Sandvik Stainless? We can mill from raw sandvik or even use forged stainless. Those two options would not feel better than the forged S20C currently used. We tested SS400 also and while it was the softest it was not very durable and the loft would bend quickly. We removed the heat treatment from CB and MCB in the 2nd and 3rd production runs because we could not tell much of a difference and due to lead time and extra cost.